Was your commercial property prepared for snow? We at Vive PM are already getting ready for our 2017 snow season! 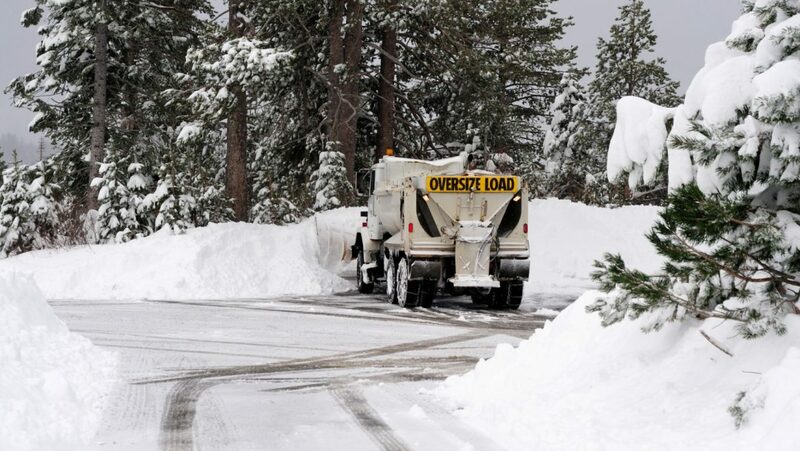 Being a snow removal service provider in the tristate area which is so susceptible to snow storms and unpredictable winter weather conditions is a big responsibility that we take seriously. Property and business owners alike know that waiting until the first storm is too late to get ahead; the time is now to get your commercial snow removal plan in action by hiring your commercial snow removal team and planning ahead. With our state of the art equipment, trained and licensed team, we will be ready at the first sign of snow to get your property cleared and safe for travel. We get to your business early to ensure that your business is ready for parking lot and pedestrian travel from the moment you flip your sign to open. Our service doesn’t stop after one trip, if the snow continues to fall throughout the day, you can bet we’ll be back to keep it as clear as we can. 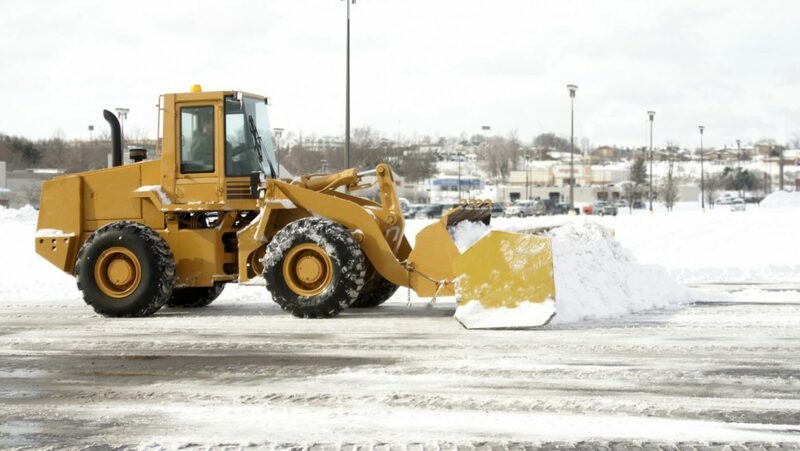 With our WBE/MBE Certification and years of experience in commercial snow removal there is no question that Vive PM is the company that you need for your snow removal needs. Give us a call today; we service Manhattan, Queens, Bronx, Brooklyn, Westchester, Long Island and Rockland NY as well as Bergen, Union, Essex, Passaic, Monmouth, Morris, Middlesex and Ocean Counties of NJ. We’ve finally got a taste of Snow here in the New Jersey/New York area. With inevitably more to come our way, it’s time to stop dragging your feet and hire a commercial snow removal company for your commercial property. Whether you are interested just in snow removal, or plan to use services year round, now is the time to talk to your prospective company and make a plan. Interested in more information? 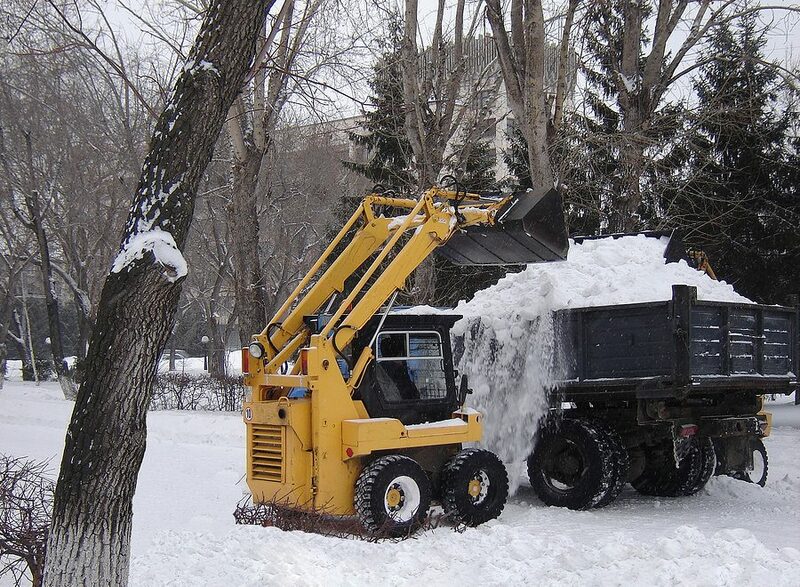 Check out these benefits of using a property maintenance company for your snow removal needs. Save Money: When you’re paying for a professional company you know your cost ahead of time and the process of payment is easy. When you use a company only when you need them, storm by storm, you can put yourself in a predicament. Generally, one time deals are more expensive and you will have to pay more to be at the top of those contractors list. 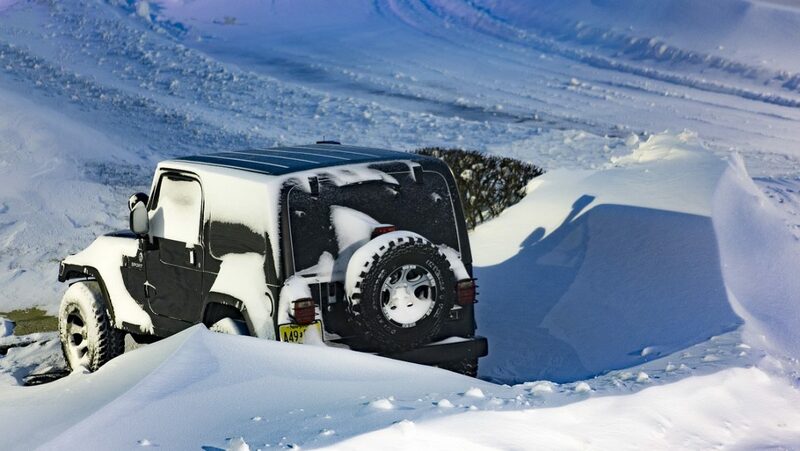 Prevent Injury: Using a professional snow removal company will help to ensure no one gets hurt. Slip and fall injuries are high this time of year due to snow and ice. With a property clear and free of ice and snow, a lawsuit will be far from your mind. 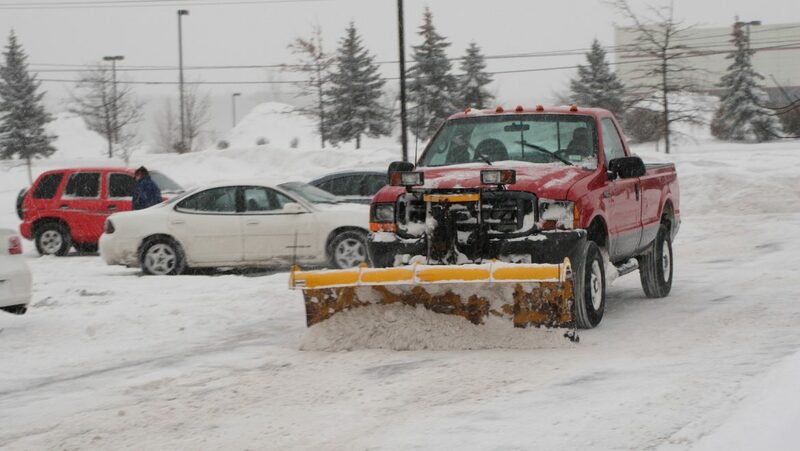 Reliability: Having the peace of mind knowing that your snow and ice will be cleared in a timely manner helps you get back to work and keeps you out of the parking lot removing snow yourself! Avoiding Fines: Depending on where you live, towns impose fines on business owners if snow and ice isn’t cleared from sidewalks in a timely manner. Don’t add another task to your daily routine and spend time worrying if you will be fined. Using a service guarantees you will be cleared within enough time. Vive PM is a professional property maintenance company that provides year round services to our clients including snow and ice removal. Our reputation for completing our job quickly, efficiently and dedication to making our clients satisfied is unlike the rest. 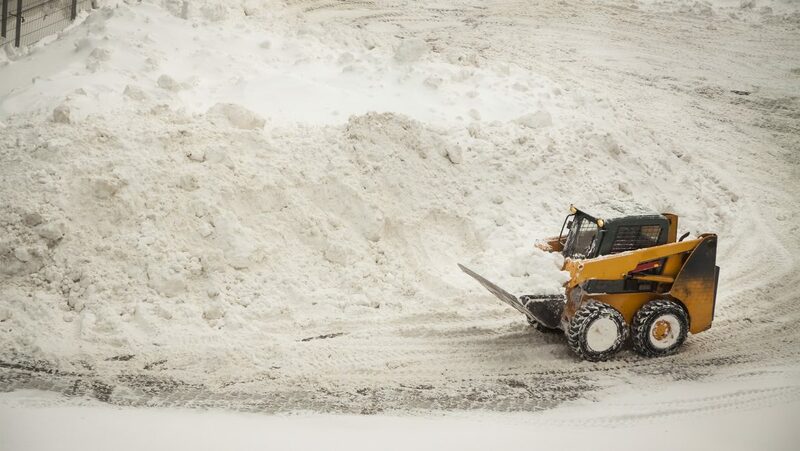 Call us today and find out if our commercial snow removal service is right for you! Business owners and property managers in NY and NJ understand what a liability snow and ice are. Uncleaned parking lots and sheets of ice on sidewalks are a nuisance and more importantly dangerous for customers and employees. 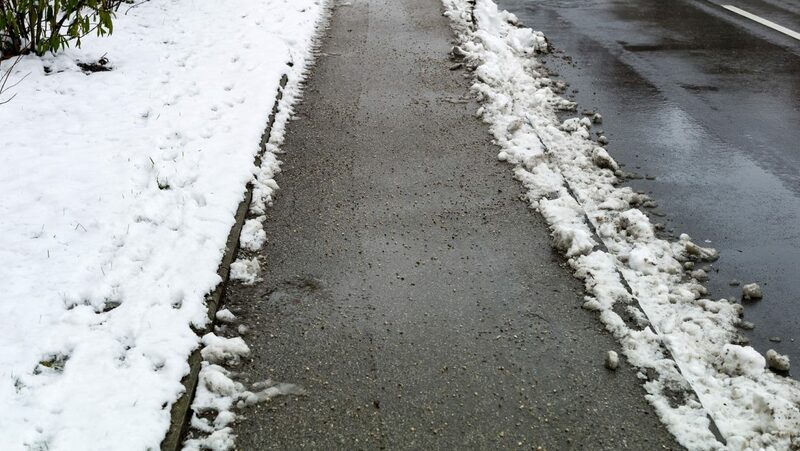 The responsibility of mitigating snow and ice from walkways and parking lots is your responsibility. It may be easy to blame the snow plow guy who only did a once over half way through the storm…but the slip and fall lawsuit won’t be served to the snow plow guy, but you. As a business owner, some of your biggest assets are your team members. 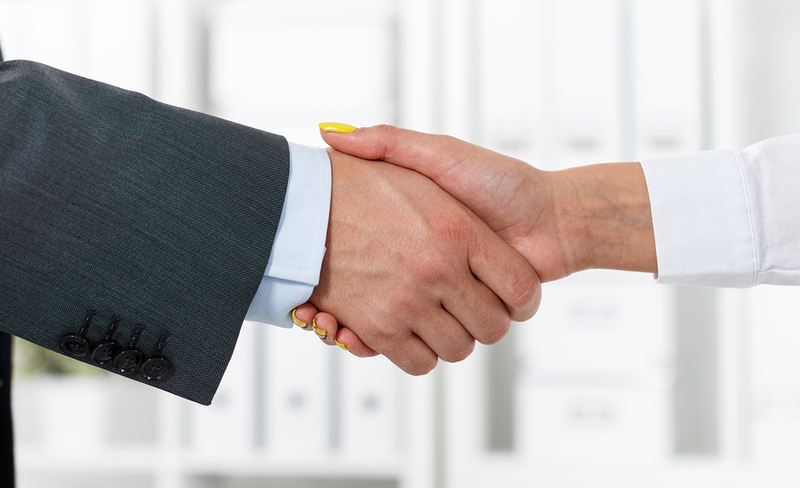 At Vive PM we strive to be an integral part of your team structure. We are always there to make sure conditions post snow removal are satisfactory. Having a trusted partner in mitigating your liabilities this winter season is a huge reason businesses in the NY and New Jersey Metro area trust Vive PM. We are currently preparing for a busy winter snow removal season and have increased our snow clearing bandwidth to service more customers more frequently during and after a winter storm. We look forward to providing exceptional service this year and are still accepting new commercial clients. If you are not currently enrolled in one of our snow removal programs, please Contact Us.